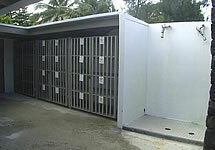 Splash Dive Center (Splash) is in the Palau Pacific Resort premises, located on the left side of the hotel’s private beach. 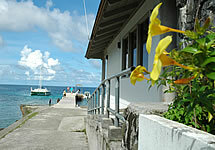 A few steps away from the hotel is one of the most beautiful piers in Palau where Splash docks its boats. 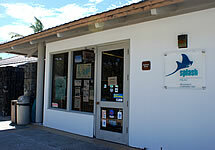 Splash began its operations in 1987 as a small dive shop. Today, Splash is a PADI Dive Center and has expanded its services from divers training and dive tours to Nature tours on land, sea kayaking around the rock islands and snorkeling tours. We also have rental services, to include full set of diving equipment, digital cameras, sea kayak, Hobie cat and Hobie cat sessions with sailing instructors. Splash Dive Center is an active member of the Palauan Community through its membership with several community organizations, such as the Belau Tourism Association (BTA), Belau Employers & Educators Alliance (BEEA) and Palau Workforce Investment Act (WIA). Splash Dive Center works collaboratively with BEEA and WIA to provide work based activities for high school students throughout the school year and during the summer. 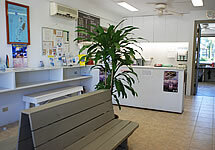 Splash Dive Center also gives monetary support, equipment, and cases of bottled water as donations to various community organizations and schools for their environmental cleanup projects. 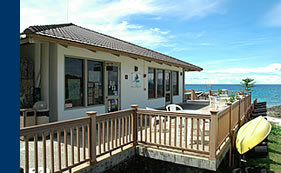 As a member of BTA, Splash Dive Center is helping Palau on its 3R (Reduce, Reuse, Recycle) campaign for clean environment. 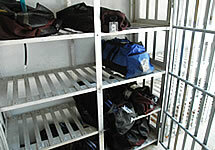 For example, divers’ lunches are served in reusable lunchboxes and we also use recyclable water bottles to reduce garbage. 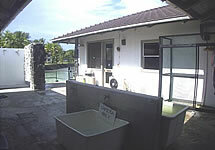 Donations are made to Palau International Coral Research Center (PICRC) for the development of the tide calendar and other research projects. We also collaborate with The Oceanic Wildlife Society (OWS) whose agenda is designed for the natural balance of wildlife. Our staff provide guidelines on everyday tours to our visitors on how to help keep Palau waters clean and let the aquatic life remains natural for the future diving generation.